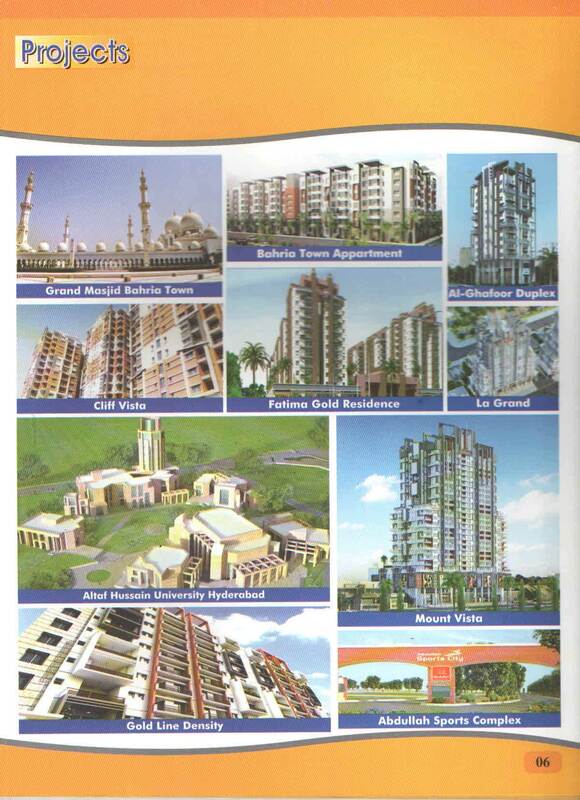 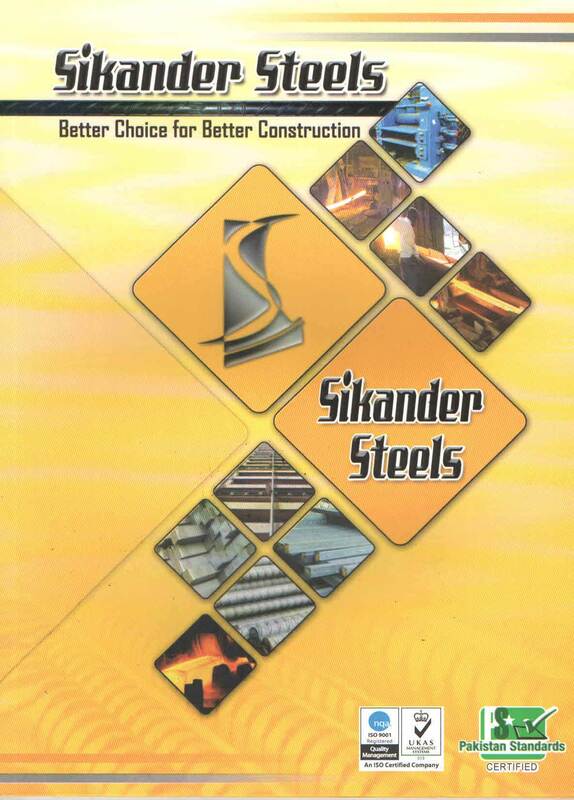 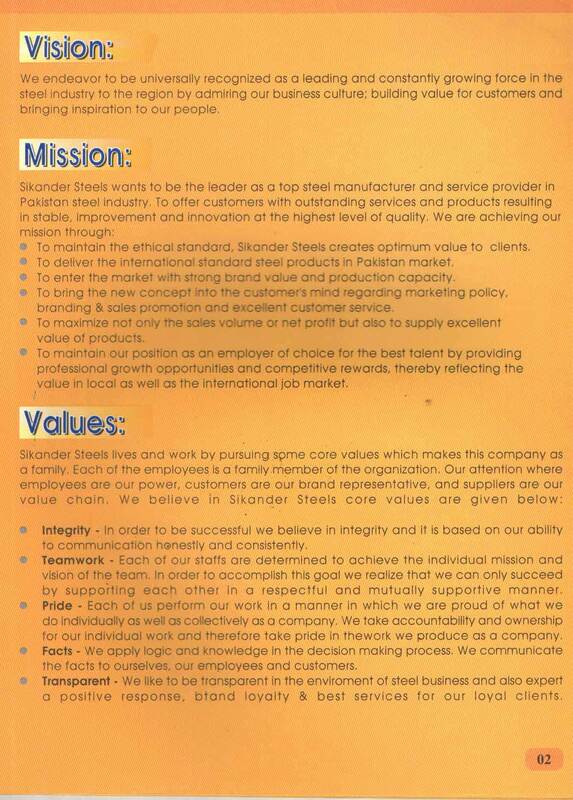 To maintain the ethical standard, Sikander Steels creates optimum value to clients. 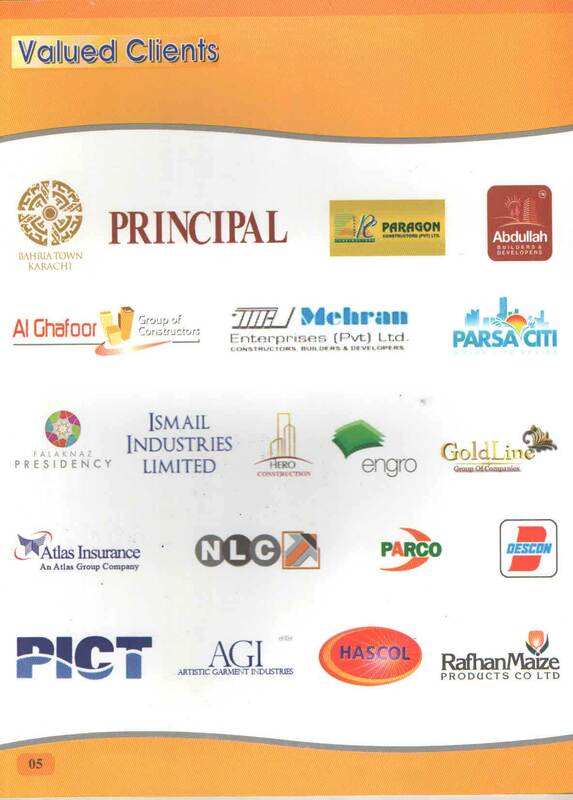 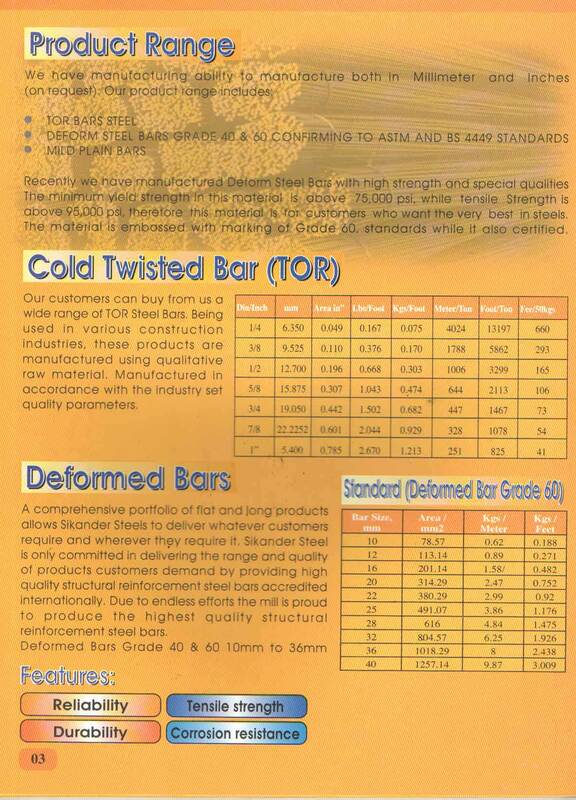 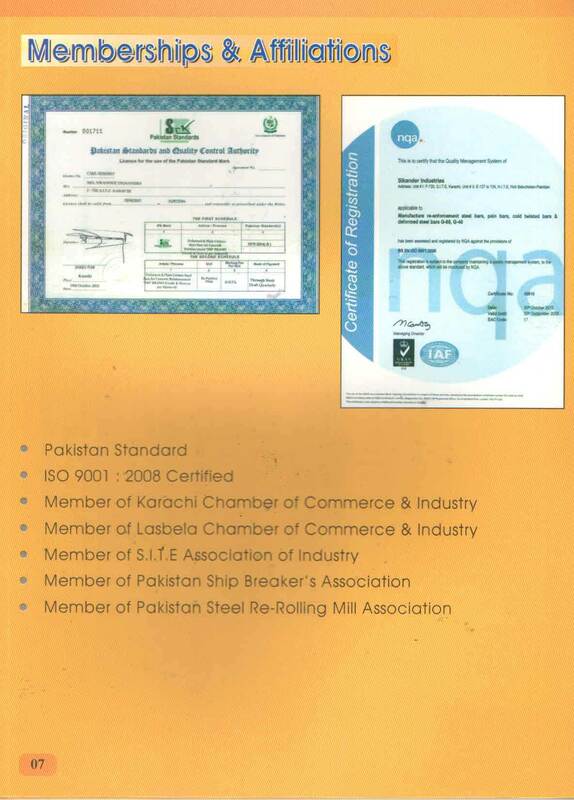 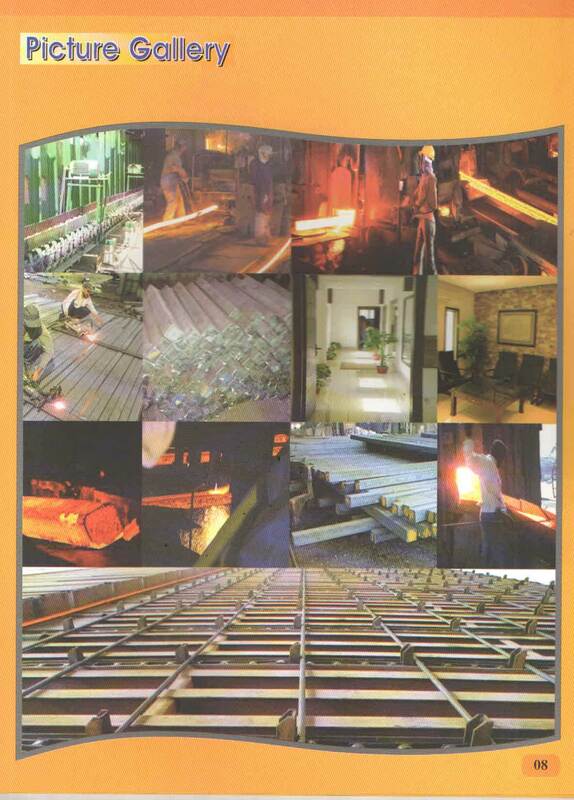 To deliver the international standard steel products in Pakistan market. 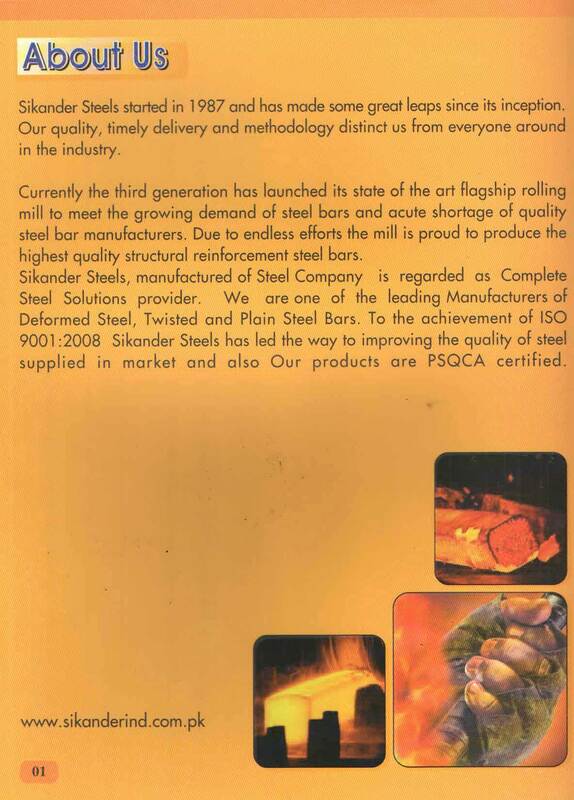 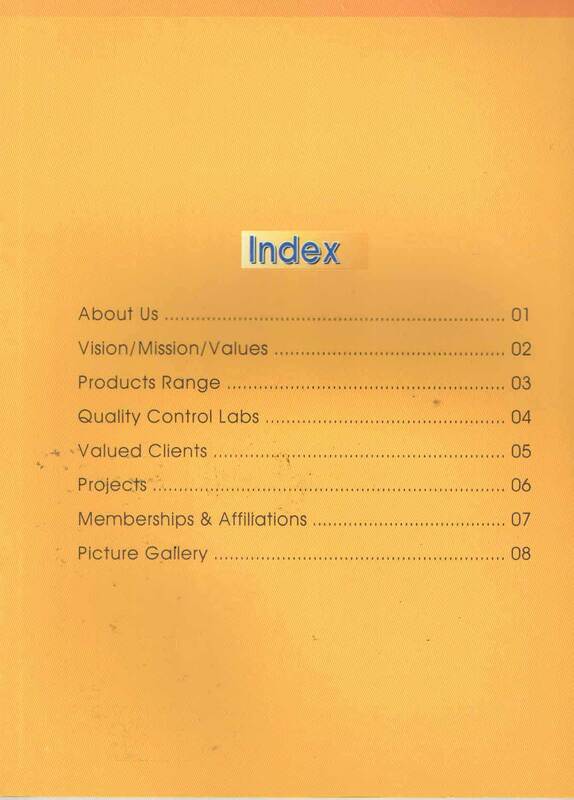 To enter the market with strong brand value and production capacity. 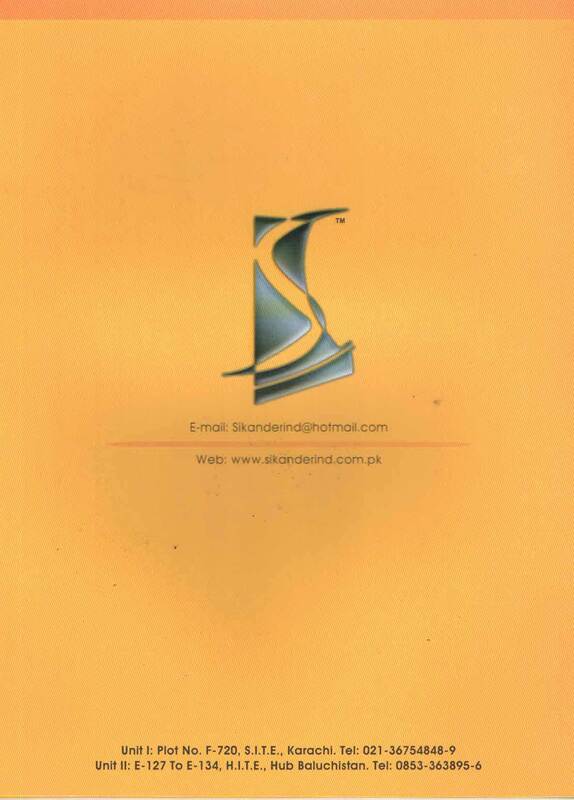 To bring the new concept into the customer's mind regarding marketing policy, branding & sales promotion and excellent customer service. 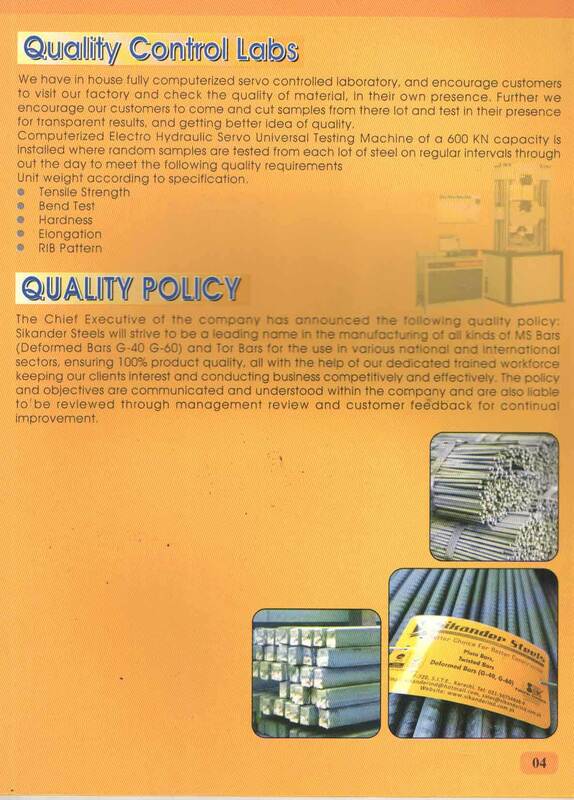 To maximize not only the sales volume or net profit but also to supply excellent value of products. 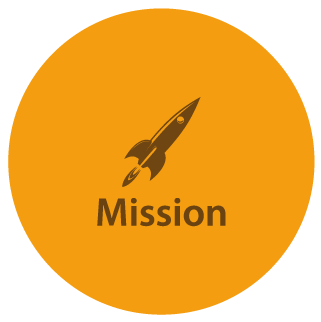 To maintain our position as an employer of choice for the best talent by providing professional growth opportunities and competitive rewards, thereby reflecting the value in local as well as the international job market.